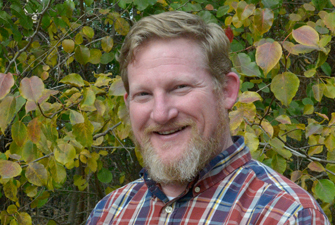 Our speaker this month will be Vann Pearsall who is the Director of Development for the North Carolina Coastal Land Trust. The mission of the Coastal Land Trust is to enrich the coastal communities of North Carolina through conservation of natural areas and working landscapes, education, and the promotion of good land stewardship. In short, we save the lands you love along the North Carolina Coast. Founded in 1992, on a shoestring and a dream, the Coastal Land Trust has become the largest land trust geographically in the state of North Carolina, serving 31 counties along the entire coastal plain. One of 24 land trusts in the state, our focus is saving and restoring special places in the coastal plain like barrier islands, nature parks and preserves, family farms, and longleaf pine forests. Vann oversees marketing, fundraising, and outreach activities of the Coastal Land Trust, building relationships with our current members and educating the community about the importance of investing in coastal conservation. Vann grew up in Pender County, where he spent many days swimming and fishing on the Northeast Cape Fear River with his family and friends and many nights scouting in the fields and forests of southeastern NC. Vann’s wife and two kids keep him pretty busy outside of work, but he still finds time to play around on the guitar and attend concerts and festivals. He loves cooking, camping, and is an avid sports fan. His favorite NCCLT preserve is the BW Wells Savannah, located about 5 miles from his childhood home. This month we will take one last look at the empty lots at the boardwalk that are home to the rides each summer. The empty corner lot at Cape Fear Boulevard and Canal Drive used to be the site of the Bame Gulf Station. The station was managed by Ernest “Tite” Bame whose parents, J.R. and Amanda Bame, owned the Bame Hotel diagonally across the street. World War II took Ernest away in the early 1940’s to serve in the Army Air Corps so he asked his brother-in-law, Jim Knox, to manage the station while he was gone. Jim and Ernest’s sister, Ruby Bame Knox, had recently moved to Carolina Beach to live year round. At the end of the war Jim Knox and Ernest Bame became partners and also opened an appliance store next to the station. 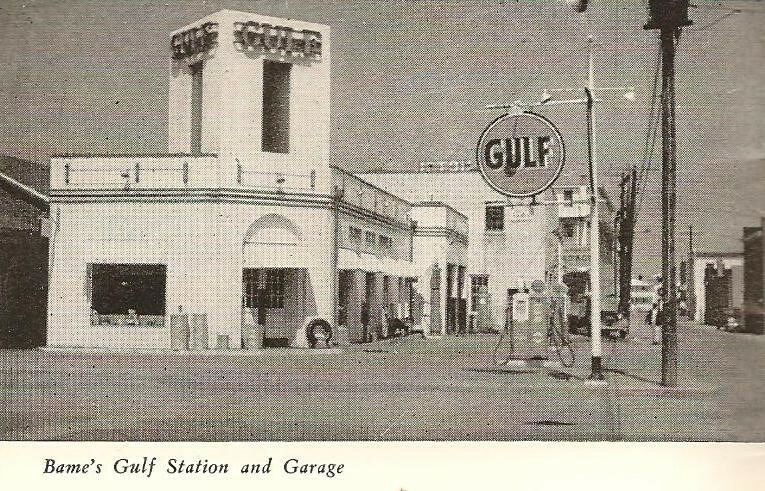 It was housed in the bottom floor of a two story white building next to the Gulf station as seen in the photo above. Cooks and other employees of the Bame Hotel lived upstairs during the summer season. “Hurricane Hazel. It really took my husband’s business – the Gulf station and the appliances. During Hurricane Hazel, he stayed down at the business. I was living at the corner of Hamlet Avenue at the time. I wondered why he didn’t come home…. During the height of the hurricane the ocean and the canal were almost ready to meet. And it did eventually. After Hazel Jim and Ernest decided to move their business to the 1000 block of North Lake Park Boulevard. They also decided to go into the building supply/hardware and furniture trade erecting a building large enough for both in 1955. Ernest and Rachel’s son, Phil Bame, still runs Bame Ace Hardware in that block today.